Having teeth extracted is scary! But, sometimes it is completely necessary. We often see cases similar to Matt with severe crowding. I tell people all the time, with braces I can always straighten all of the teeth, but sometimes that leads to unfortunate consequences. For instance, had we just put braces on his teeth and aligned all of them, Matt’s teeth would have been drastically flared. This not only would look awful (no one likes it when their teeth arrive in a room several minutes before they do), but the long term health of the teeth and gums would also have been severely jeopardized. 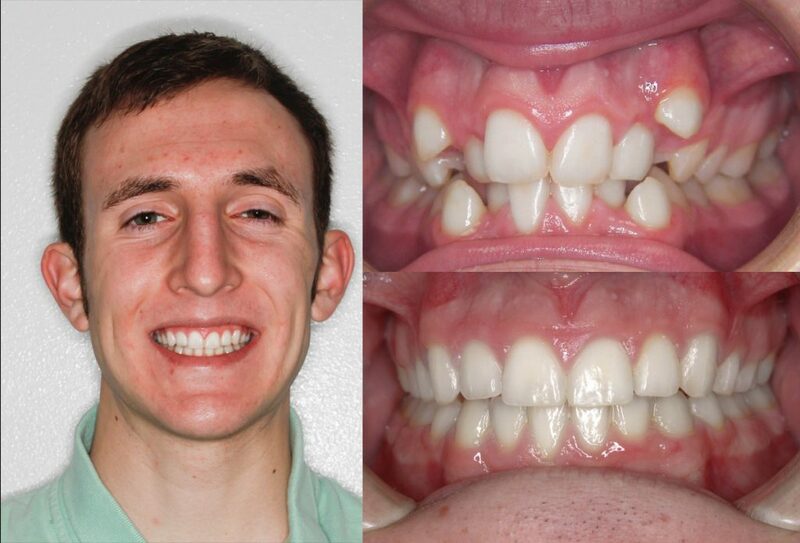 Therefore, in cases similar to Matt’s, it is often best to extract a few premolars to obtain a fantastic outcome.